Can you bounce back? On today’s podcast, the guys hone in on the Virginia Men’ Basketball Team who recently won the National Championship. A year prior they were the laughing stock of the NCAA as they lost to a 16 seed while being the number 1 seed. To translate this into real life think about a year or an instance where you felt like you messed up so bad that you couldn’t bounce back. You’re embarrassed, people are talking about it, what did you do? Did you fold or did you get ready for the next season? Listen to hear what ET says you should after experiencing a BIG Loss. Time Stamped Topics: [03:00] - NCAA Update [06:38] - Fair or Foul [22:00] - ET No Phone! [41:21] - ET Go Off! [54:30] - Virginia [1:08:00] - Confidence factor [1:19:40] - Ask ET Listener Perks: Organifi is giving our listeners 20% off of their order just go to www.organifi.com/success. Their superfood green juice powder allows you to get your greens anytime anywhere while on the go. Become a paid speaker with ETA’s Game Changer program www.etagamechangers.com The Secrets to Success: The Passport Personality Assessment www.etinspires.com/assessment When you’re down you can either make it your reality or you can say you’re in transition. If you make a decision NOT to quit you will begin to experience favor in a way you’ve never experienced before. We must prove to ourselves that we are who we say we are. The full circle of life is to know what it’s like to lose and to know what it’s like to win. You will never be a winner if you quit and give up. ET Events: 1% Chicago April 26, 2019 1% Dallas April 19, 2019 SOLD OUT Get connected with a network of over 3,500 people who listen to ET, and embodies the work ethic and spirit of ET. To learn more about Breathe University. Subscribe to the podcast via Apple Podcasts. How much do you believe in yourself? Like really believe in yourself. Or do you think once you get another degree you’ll be good, or another certification or a co-sign that makes you believe in yourself? On today’s podcast, ET asks listeners what’s your road to the Final Four? Sometimes we think because we don’t have the ideal circumstances that we can’t beat the odds and come out on top. The road to the Final Four will not be paved straight but the guys talk about why you can still win a championship, despite what number seed you’re given. Time Stamped Topics: [03:38] - Delta Beef [09:14] - Confidence Wins [19:53] - Athlete Impact [26:40] - Being Stuck vs Stagnant [45:00] - Punch Back [1:05:20] - Share the Stage Listener Perks: Organifi is giving our listeners 20% off of their order just go to www.organifi.com/success. Their superfood green juice powder allows you to get your greens anytime anywhere while on the go. The Secrets to Success: The Passport Personality Assessment www.etinspires.com/assessment You’re not stuck, you’re in learning mode. 9 times out of 10 you’re stuck because you’re focused on the things you can’t control. Perfection is NOT the price of admission. ET Events: 1% Chicago April 26, 2019 1% Dallas April 19, 2019 Get connected with a network of over 3,500 people who listen to ET, and embodies the work ethic and spirit of ET. To learn more about Breathe University. Subscribe to the podcast via Apple Podcasts. Everyone experiences pain in their life. But there are a lot of people who carry their pain daily as well as blame everything in their life on that pain. Some of you have the pain of a failed marriage, maybe you had a terrible childhood, and some of you may have issues with your parents. Today the guys discuss how and why you have to move on past your pain in order to live the life you deserve. ET gives listeners 5 things to think about in order to move past the pain and put themselves in a better position. Time Stamped Topics: [03:24] - Post Jamaica Blues [08:14] - Fair or Foul [18:43] - Jorge Story [33:57] - Everyone’s A Victim [42:30] - Personal Accountability [59:57] - Nugget of The Day [63:22] - Stop The Bleeding Listener Perks: Organifi is giving our listeners 20% off of their order just go to www.organifi.com/success. Their superfood green juice powder allows you to get your greens anytime anywhere while on the go. The Secrets to Success: The Passport Personality Assessment www.etinspires.com/assessment Once you acknowledge that you’re the enemy you give yourself the power to do something about it. The minute you say it’s someone else's fault you give them control of your destiny. When you operate on an excellent level you get a certain level of freedom. ET Events: 1% Chicago April 26, 2019 1% Dallas April 19, 2019 Get connected with a network of over 3,500 people who listen to ET, and embodies the work ethic and spirit of ET. To learn more about Breathe University. Subscribe to the podcast via Apple Podcasts. This week the guys are recording the podcast live from Jamaica from the Phenomenal Life event and are in company with financial expert Rob Wilson. How many of you have money problems? Lack of income, savings, or just not knowing what to do with the money you have. Rob Wilson breaks down why money is in fact VERY important in your life and how to use it to your advantage. Be prepared to walk away from today’s podcast with a plan for your wealth and the rest of your life. Time Stamped Topics: [1:55] - Fair or Foul [17:30] - When To Splurge [25:17] - Living For Now [41:00] - Everyone is A Business Owner [55:26] - I’m Doing Well [1:08:19] - Nugget of The Day Listener Perks: Organifi is giving our listeners 20% off of their order just go to www.organifi.com/success. Their superfood green juice powder allows you to get your greens anytime anywhere while on the go. The Secrets to Success: The Passport Personality Assessment www.etinspires.com/assessment Money is the second most important thing in your life. If people realize who they were and that you don’t have to make money but you are money. Most people when left to your own devices will not make good choices for themselves. Everywhere has problems but everywhere doesn’t have the same opportunities. ET Events: 1% Chicago April 26, 2019 1% Dallas April 19, 2019 Get connected with a network of over 3,500 people who listen to ET, and embodies the work ethic and spirit of ET. To learn more about Breathe University. Subscribe to the podcast via Apple Podcasts. Keeping up with the joneses. A term we’ve all heard before and the topic of the podcast today. Have you ever wanted something because someone else has it? Or have you ever thought that because you were making a certain amount of money you were obligated to go and buy the latest designers? The guys dive deep into what the real motivating factor is behind making certain purchases or wanting certain things. Be prepared to assess your own intentions behind all the things you want to obtain. Time Stamped Topics: [16:00] - Avery runs the show [23:15] - Money Relationship [37:35] - Keeping Up [54:00] - Wealth-vs-Money [1:13:00] - Be Yourself [1:21:23] - Ask ET [1:37:12] - Nugget of The Day Listener Perks: Organifi is giving our listeners 20% off of their order just go to www.organifi.com/success. Their superfood green juice powder allows you to get your greens anytime anywhere while on the go. Hello Fresh is giving our listeners $60 off your first three deliveries just visit www.hellofresh.com/success60 and enter the promo code “SUCCESS60” The Secrets to Success: The Passport Personality Assessment www.etinspires.com/assessment Money is not wealth, you’re short sided if you think it is. Wealth means you’re balling in every category. You’re broke because you’re trying to do something someone else does the exact way they do it. Comparison is the thief of joy. ET Events: Phenomenal Life Jamaica February 25 - March 3, 2019 1% Chicago April 26, 2019 1% Dallas April 19, 2019 Get connected with a network of over 3,500 people who listen to ET, and embodies the work ethic and spirit of ET. To learn more about Breathe University. Subscribe to the podcast via Apple Podcasts. Eps. 162 - ET Goes "Bowling"
In 2019 ET is on a quest to study what it takes to really be able to execute at a high level. On today’s podcast, he brings a case study involving effort -vs- execution. A lot of people think that they’re effort is enough to get them to the next level. Specifically good people who try hard but just aren’t performing at a level they need to perform at. ET and the squad explain to us why effort is sometimes rewarded but execution is worshipped. Time Stamped Topics: [05:30] - Karl Snowed In [17:48] - iPhone Glitch [23:12] - Publix Singer [25:43] - Case Study [39:25] - Naiviety [46:14] - Do nice guys finish last? Listener Perks: Organifi is giving our listeners 20% off of their order just go to www.organifi.com/success. Their superfood green juice powder allows you to get your greens anytime anywhere while on the go. The Secrets to Success: The Passport Personality Assessment www.etinspires.com/assessment Plan 2 Prosper Journal Stop assuming the business world is full of people who have good intentions. ET Events: Phenomenal Life Jamaica February 25 - March 3, 2019 Get connected with a network of over 3,500 people who listen to ET, and embodies the work ethic and spirit of ET. To learn more about Breathe University. Subscribe to the podcast via Apple Podcasts. At one point do you keep trying something and give up on it? That’s the question that ET poses on today’s podcast. We all have areas in our life where we want to give up on something, or we have already given up. Relationships, business ventures, maybe even certain career choices. The guys carefully dissect how you should assess whether or not you should give up on anything that you’re seeking out. While listening to today’s podcast be sure to keep your current situation in perspective before you make a final decision to give up or keep going. Time Stamped Topics: [05:48] - Don’t switch what works [15:40] - Mr. Quinney update [20:00] - Family Matters [30:00] - When do you stop trying? [44:33] - Reprogram your thinking [53:00] - Why they didn’t quit [1:08:45] - Ask ET [1:23:00] - Nugget of the day Listener Perks: Organifi is giving our listeners 20% off of their order just go to www.organifi.com/success. Their superfood green juice powder allows you to get your greens anytime anywhere while on the go. The Secrets to Success: The Passport Personality Assessment www.etinspires.com/assessment Plan 2 Prosper Journal Don’t switch up what works. Pay attention to your indicators to decide whether or not you should move forward. The process is what’s deep not the goal. We look back at things with reverence but we look to the future with fear. ET Events: Phenomenal Life Jamaica February 25 - March 3, 2019 Get connected with a network of over 3,500 people who listen to ET, and embodies the work ethic and spirit of ET. To learn more about Breathe University. Subscribe to the podcast via Apple Podcasts. This week the guys are back from their holiday vacation and are pumped up for 2019. The topic for today is what does it take to go from good to great? What are the systems and routines that take a person to the next level? ET goes over the importance of studying oneself and how that is the best tool to help you get to the next level. Time Stamped Topics: [02:48] - Christmas Recap [18:00] - CJ at Target [29:00] - Getting Momentum [41:00] - The Systems [59:13] - Modify the Routine [1:05:00] - Money Changed Them [1:12:00] - Nugget of The Day Listener Perks: Organifi is giving our listeners 20% off of their order just go to www.organifi.com/success. Their superfood green juice powder allows you to get your greens anytime anywhere while on the go. The Secrets to Success: The Passport Personality Assessment www.etinspires.com/assessment Plan 2 Prosper Journal Don’t change your prices in 2019 if you’re not increasing your value. If your routine is off your results are off. Sometimes you’re scared to lose something when on the other side there is something greater. The success is in your daily routine and the 5 people closest to you routine. Momentum can swing either way, towards the negative or the positive. ET Events: Phenomenal Life Jamaica February 25 - March 3, 2019 Get connected with a network of over 3,500 people who listen to ET, and embodies the work ethic and spirit of ET. To learn more about Breathe University. Subscribe to the podcast via Apple Podcasts. 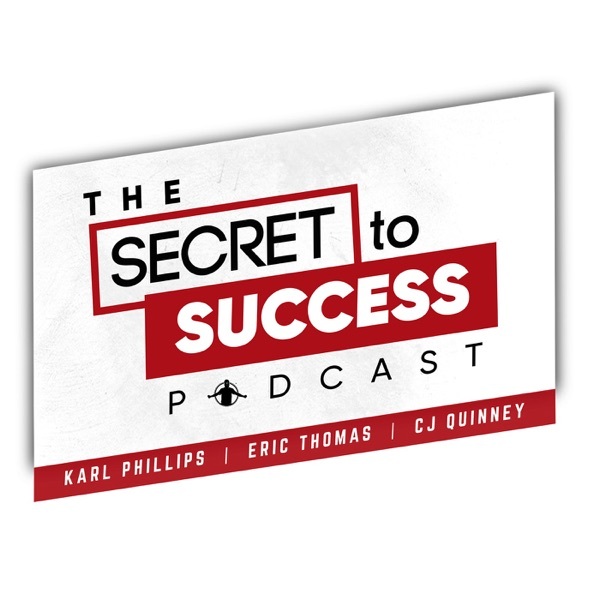 Today’s episode of The Secret to Success highlights some of the most value added moments of the year. Moments that made listeners self assess and make the proper adjustments in their business and personal life. If I were you I would grab a pen and paper as you listen some of 2018’s most value added moments. Listener Perks: Organifi is giving our listeners 20% off of their order just go to www.organifi.com/success. Their superfood green juice powder allows you to get your greens anytime anywhere while on the go. Join Breathe University this holiday season as we offer our low rate of $20/month. Get 3 courses taught by ET himself as well as access to a community of over 2,000 like minded individuals. Visit www.breatheuniversity.com and join TODAY ! The Secrets to Success: The Passport Personality Assessment www.etinspires.com/assessment ET Events: Phenomenal Life Jamaica February 25 - March 3, 2019 Get connected with a network of over 3,500 people who listen to ET, and embodies the work ethic and spirit of ET. To learn more about Breathe University. Subscribe to the podcast via Apple Podcasts. Today's episode of The Secret to Success is a recap of the funniest moments of 2018. All of the moments that made listeners laugh out loud and pull over while driving are here for you to enjoy again. Enjoy today's episode with lots of laughter and joy as you continue to celebrate this holiday season. Listener Perks: Organifi is giving our listeners 20% off of their order just go to www.organifi.com/success. Their superfood green juice powder allows you to get your greens anytime anywhere while on the go. Join Breathe University this holiday season as we offer our low rate of $20/month. Get 3 courses taught by ET himself as well as access to a community of over 2,000 like minded individuals. Visit www.breatheuniversity.com and join TODAY ! The Secrets to Success: The Passport Personality Assessment www.etinspires.com/assessment ET Events: Phenomenal Life Jamaica February 25 - March 3, 2019 Get connected with a network of over 3,500 people who listen to ET, and embodies the work ethic and spirit of ET. To learn more about Breathe University. Subscribe to the podcast via Apple Podcasts. On today’s podcast the guys talk about a characteristic that some of us struggle with. Confidence. How many of you are confident in your talents ? Confident in your abilities ? CJ notices that ET has been more confident this year than he’s been prior and on the flip side Karl admits to struggling with his own confidence. CJ steers the conversation in a way that will help listeners fix their confidence, while embracing their strengths and not focusing on their weaknesses. Time Stamped Topics: [05:00] - Earthquake CJ [16:21] - Christmas Tree from Hell [34:45] - Confidence [45:00] - The Other side of Confidence [1:00:00] - The Difference [1:15:00] - The Switch [1:32:51] - ET Post Office [1:35:06] - Nugget of The Day Listener Perks: Organifi is giving our listeners 20% off of their order just go to www.organifi.com/success. Their superfood green juice powder allows you to get your greens anytime anywhere while on the go. Join Breathe University this holiday season as we offer our low rate of $20/month. Get 3 courses taught by ET himself as well as access to a community of over 2,000 like minded individuals. Visit www.breatheuniversity.com and join TODAY ! The Secrets to Success: The Passport Personality Assessment www.etinspires.com/assessment Success is not keeping up with the jones it’s living your life on your own terms. When you’re in the natural you’re the best person you can be. What you need to get to the next level is just a belief in yourself. Perfection is not going to happen overnight. ET Events: Phenomenal Life Jamaica February 25 - March 3, 2019 Get connected with a network of over 3,500 people who listen to ET, and embodies the work ethic and spirit of ET. To learn more about Breathe University. Subscribe to the podcast via Apple Podcasts. If you’ve been listening to this podcast for a while then you’ve heard the guys talk about the inability to self-assess. A concept that they’ve taught and drilled into the heads of listeners and fans over the years. CJ realized that while they’ve been teaching others how to self-assess, they haven’t quite taught people how to fix things once they’ve done the self-assessment. The guys, along with Josh Hatch, give some very transparent personal examples on how they executed after self-assessing. Time Stamped Topics: [10:00] - Kids In The Real World [21:29] - Fair or Foul [25:00] - Fixing Yourself [36:00] - Accepting No Change [42:10] - Main Frame [52:00] - Who Are You ? [1:12:00] - Hatch’s Corner [1:28:06] - Christmas Nugget of The Day Listener Perks: Organifi is giving our listeners 20% off of their order just go to www.organifi.com/success. Their superfood green juice powder allows you to get your greens anytime anywhere while on the go. Hello Fresh is giving our listeners $60 off your first three deliveries just visit www.hellofresh.com/success60 and enter the promo code “SUCCESS60” The Secrets to Success: The Passport Personality Assessment www.etinspires.com/assessment Take responsibility for your healing. In order to change something internal you have to have a greater external force. You break the cycle by doing something different. ET Events: Phenomenal Life Jamaica February 25 - March 3, 2019 Get connected with a network of over 3,500 people who listen to ET, and embodies the work ethic and spirit of ET. To learn more about Breathe University. Subscribe to the podcast via Apple Podcasts.